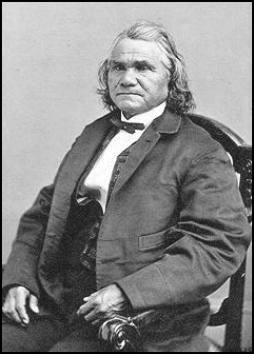 Confederate officials commissioned Stand Watie a colonel in the Confederate States Army in July 1861 and authorized him to raise the First Regiment of Cherokee Mounted Volunteers. Cherokee Chief John Ross signed the Cherokee-Confederate treaty of alliance in October 1861 and raised the First Regiment of Cherokee Mounted Rifles, commanded by Col. John Drew. At this time, Watie's regiment became the Second Regiment of Cherokee Mounted Rifles. A portion of Drew's regiment deserted in late 1861. Following the Battle of Fort Wayne in October 1862, most of the remainder of Drew's men deserted. What remained of his troops was combined with Watie's regiment and reorganized as the First Regiment of Cherokee Mounted Rifles with Watie in command. During the Civil War, Watie's troops participated in twenty-seven major engagements and numerous skirmishes. Although some of the engagements were set-piece battles, most of his activities utilized guerrilla warfare and tactics. Watie's men launched raids from south of the Canadian River throughout northern-held Indian Territory and into Kansas and Missouri, tying down thousands of Union troops. Poorly equipped and armed mostly with castoff rifles or captured weapons, the Cherokees were well suited to this type of warfare. Watie was promoted to brigadier general in May 1864. Watie's most spectacular victories included the capture of a Federal steamboat, the J. R. Williams, in June 1864 and the capture of a Union wagon train at the Second Battle of Cabin Creek in September 1864. His three most infamous actions were the burning of Rose Cottage, home of Chief John Ross, and the Cherokee Council House in October 1863, and the massacre of the First Kansas Colored Infantry and Second Kansas Cavalry at the Hay Meadow fight in September 1864. In February 1865, Watie was given command of the Indian Division of Indian Territory but was unable to launch any offensive operations. He released most of his troops following the collapse of Confederate resistance in the spring of 1865. After participating in the Camp Napoleon Council in May, Stand Watie officially surrendered on June 23, 1865, becoming the last Confederate general to lay down his arms. BIBLIOGRAPHY: Edward E. Dale and Gaston Litton, ed., Cherokee Cavaliers: Forty Years of Cherokee History as Told in the Correspondence of the Ridge-Watie-Boudinot Family (Norman: University of Oklahoma Press, 1939). Kenny A. Franks, Stand Watie and the Agony of the Cherokee Nation (Memphis, Tenn.: Memphis State University Press, 1979). Grace Steele Woodward, The Cherokees (Norman: University of Oklahoma Press, 1963). Kenny A. Franks, © Oklahoma Historical Society. Recommended: General Stand Watie's Confederate Indians (University of Oklahoma Press). Description: American Indians were courted by both the North and the South prior to that great and horrific conflict known as the American Civil War. This is the story of the highest ranking Native American--Cherokee chief and Confederate general--Stand Watie, his Cherokee Fighting Unit, the Cherokee, and the conflict in the West. With insight from Civil War authorities, we debunk the long-held image of a romantic and gentlemanly war. To revisit the past, we incorporate written sources, archival photographs and newspaper headlines. Our reenactments bring to life key moments in our historical characters' lives and in each of the horrific terrorist plots.